Do you collect sand from beaches? 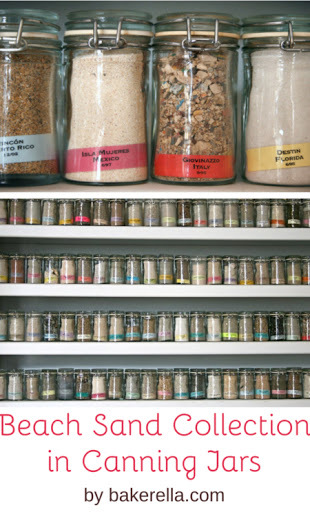 Take a look at these beach sand collections in bottles, jars, and other containers. 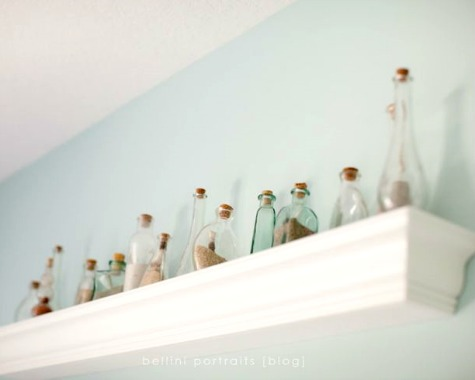 Sand bottles lined up on a wall shelf. Via Bellini Pics. 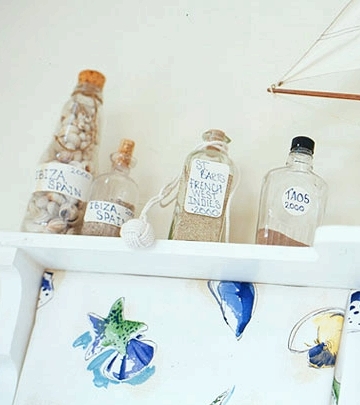 The Nautical Chart of this inbuilt shelf makes the perfect backdrop for a sand collection in bottles. Via Houzz. 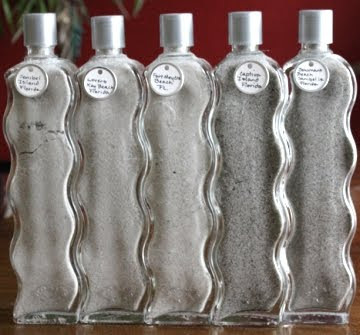 Beach sand collections in special bottles for special memories. Via Facebook. 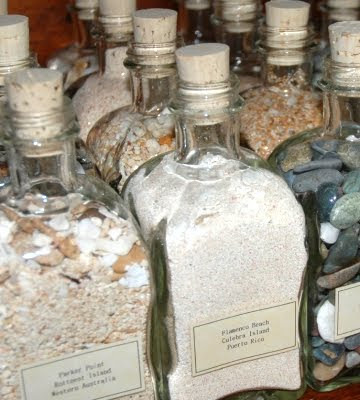 A Beach Sand Collection from around the world; from pebbles in parts of Europe, to broken coral and shells from some islands. 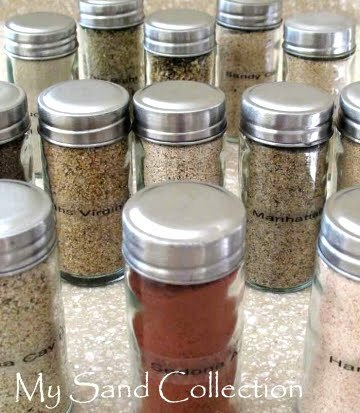 A Sand Collection in spice jars. 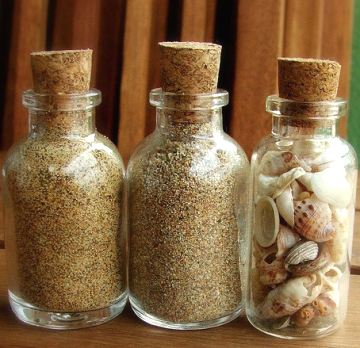 Dozens of canning jars filled with sand from beaches from around the world by Bakerella via Flickr. The sand from Destin (FL) is the whitest. Some have a scientific system down and sort their beach sand by how white the sand is. You can see and learn more about this collection on Flickr. 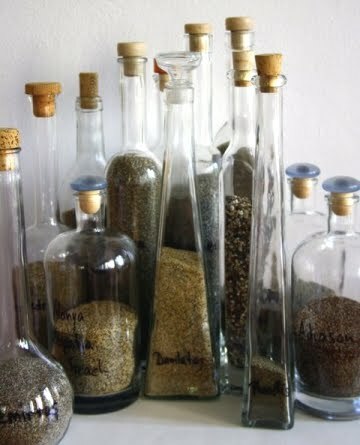 Cocktail bottles now filled with Collected Sand from travels. 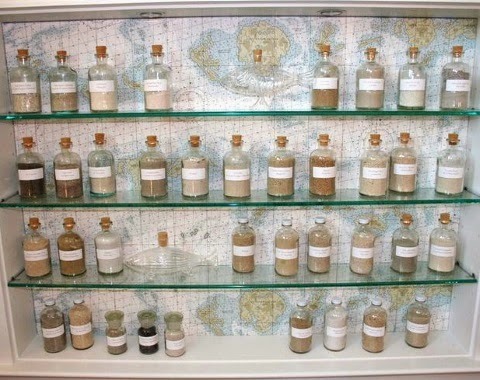 This Sand Collection was started 15 years ago and consists of close to hundred bottles. 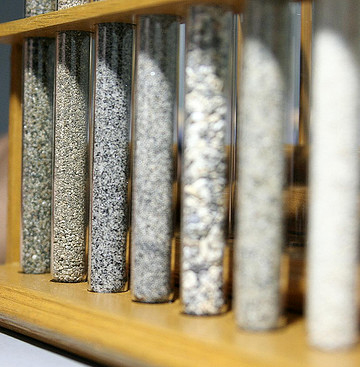 It also includes sand from other places like the Death Valley, for example. Vintage tags were used to label the sand bottles. 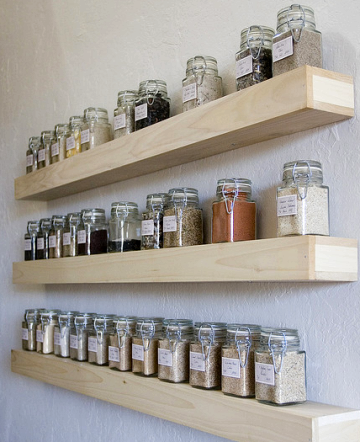 Some people build custom shelves for their sand jars. See here. 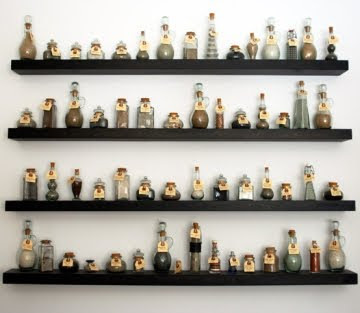 A sand collections in shapely glass jars on a shelf. Source is no longer available. More cute mini bottles. Seen on Flickr. 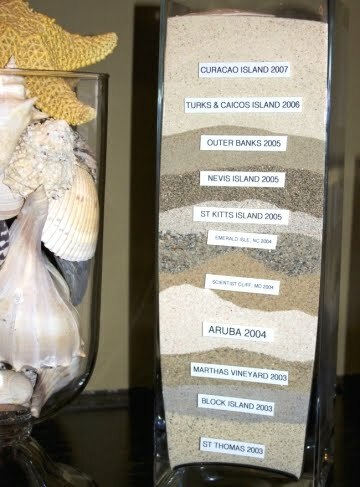 And this cool sand display idea makes for an interesting pattern. Seen HERE. You might also enjoy these Sand Crafts. Then, you might be interested in this NY Times article. It talks about why beach sand is different, coarse on the northern shores of the East coast, and much finer down in Florida.